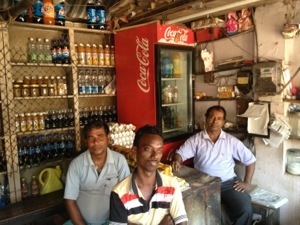 Day 3 in Kolkata India and I’m reflecting on a day like no other. I joined BMS world mission action team and a whole pile of guests (above) to visit a remote village where Christians hadn’t ventured before. A three hour drive along battered up pot holed roads to where the boat which is used to access remote villages is moored. A 45 minute river journey later and we were at the village. The whole journey was busy… We went out of a busy urban location to a busy rural one. People everywhere along the roads, weaving in and out if traffic! The strategy the team from ‘big life’ have is simple. Play some games, set up a medical clinic with a doctor, attract a crowd, wait to be invited into people’s homes and share good news. They then plant a pastor in the village who will begin to disciple the people in their homes who will then in turn disciple people in other homes and so on and so forth. Multiplication. 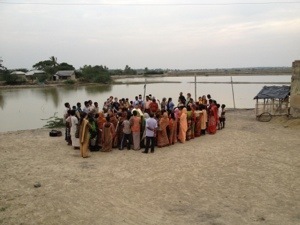 Over 8000 churches have been planted this way over the past 8 years. Simple! So today I’m hanging out feeling somewhat of the freak show as people literally hadn’t met a white person before. I managed to make some children cry as I smiled at them and said hello, others gathered round to shake my hand. Many stared and some smiled and said hello. I’m praying and looking around when I notice a lady approaching the medical table on a crutch and using a big stick to walk. She is slowly making her way over and as I see her I think ‘God wants me to pray for her to be healed.’ I’m then somewhat surprised when she strikes up the conversation and invites me and others to come back to her home to talk. 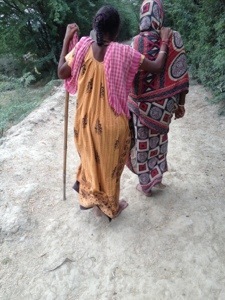 The walk back is painful for her and she cries out in agony as she slowly walks back to her home with me and her family and some ‘Big Life’ team including the founder of India ‘Big Life’ Benjamin Francis. I walk slowly with her and feel her pain. She can barely walk. I pray as I slowly walk and try not to cry as I feel for her, yet there’s nothing I can offer other then prayer. As we approach her home more and more people join us and we soon gather quite a crowd who are keen to hear what we have to offer. We sit outside on a straw mat amongst the chickens and ducks and I am introduced by Benjamin. I share the story of Jesus and how he never turned people away, how he welcomed all kinds of people and healed them. I spoke on the story of the 4 friends bringing their friend on a mat and because there wasn’t any room on the house, they lowered him through the roof! thank you Chris. This has brought back so many wonderful memories from last year. I hope you have a wonderful time out there and see many amazing wonderful things. 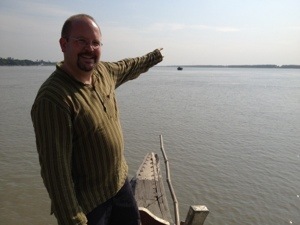 Chris, sounds as if you are doing an awesome job there in and around Kolkata, especially the prayer for healing. Well – especially EVERYthing in fact! But then we serve an awesome King, don’t we? When you do what he commands awesome things happen. It’s that simple. Glad to know you are there and praying for you and the team. Father’s will be done. What a humbling and inspiring story!